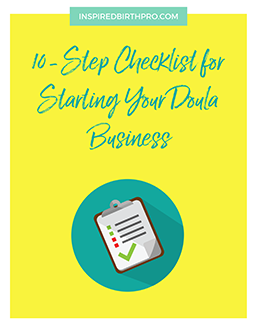 After coming down from the high of attending a training workshop to be a doula or childbirth educator, or finishing your schooling and getting your degree, license or certification, are you asking yourself what to do next? If you have not owned a business before, navigating these uncharted waters can be overwhelming. In this three-part series, I'll discuss some of the basics to help get you started. 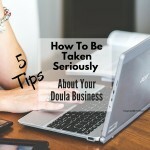 Some of these topics, especially in the early phases of your business, are not fun or glamorous. However, this process is very similar to building a home - the cement slab is not the most exciting part of the house, but it's the foundation and must be strong to support the rest of the building. 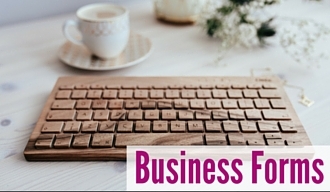 Today we will look at building your business support system. I believe that one of the most important elements of success in business is the strength of your support system. 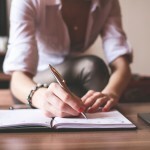 Even though you are "self-employed", you don't have to be in business alone. Family and friends. Your family and friends may not have the business expertise that you need, but they can sure offer you a lot of moral support, and they can help provide word-of-mouth advertising for you. 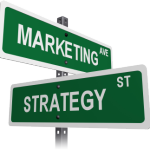 Social media, online forums, and email lists. Online networking through social media is one of the best ways to connect with fellow professionals in your field. 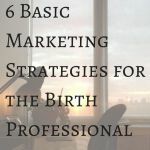 LinkedIn and Facebook both have numerous birth pro groups, and becoming a fan of other birth pro Facebook pages keeps you in the know about what's happening in your area and in the news. Twitter is a great place to have conversations with other birth pros, and there are several Twitter chats throughout the week covering a variety of topics. Local birth network and non-birth-related networking groups. 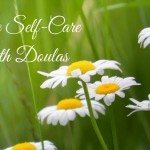 See if there are any doula networks or birth networks in your area. Get to know experienced childbirth professionals not only in your community but anywhere! Involvement in groups like these can provide you with many opportunities to meet others and get your name out there. Non-birth-related networking groups can put you in touch with other professionals whose services you may want to use, and you can educate others about what you do as well. Many groups offer business development opportunities in the form of guest speakers at meetings or special workshops. Affiliation with some of these programs may offer you discounts for business services and products in your community. 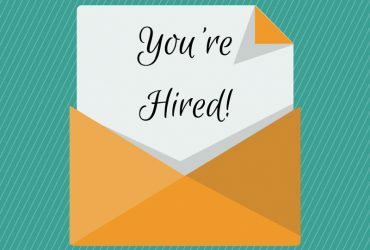 Organizations and schools that offer small business training programs. Learn about business. Even if you are not at all interested in the subject, it's vital that you understand the nuts and bolts so you can create a strong foundation, and you will likely avoid mistakes that might be more costly to fix later. Check with community colleges and non-profit organizations that help small businesses. 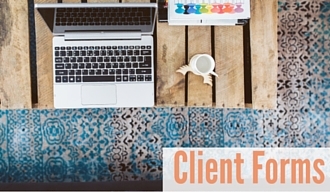 Professionals such as accountants and attorneys. Find out either from friends and family or from others you meet in your networking groups for recommendations. 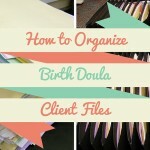 It's helpful to have an attorney look over your doula contract. It also makes sense to let an accountant help you set up your bookkeeping software or help answer your questions about deductible expenses so that you have a clear understanding of how to keep your books and what information to track and save. A mentor or coach. 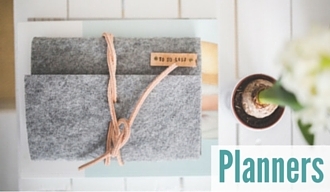 Having someone who is 100% focused on you can have a huge impact on your business. It will require you to make a larger investment than some of these other options would, but if you are willing to put in a lot of hard work, a mentor or coach can really help you as you put your business together. In many communities, professionals in your field take on mentees to show them the ropes in each step of the process with clients. Business coaches typically may not have experience in your particular field, but they listen to you put your plans in place, ask questions to get you thinking out your goals, processes and action plans, and holding you accountable to follow through on what you say you're going to do. Developing a strong support system will provide you with many resources as you build your practice, so you can get going more quickly and confidently. 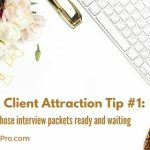 You will be seen as a professional, and you will also very likely gain referrals from your networking efforts. 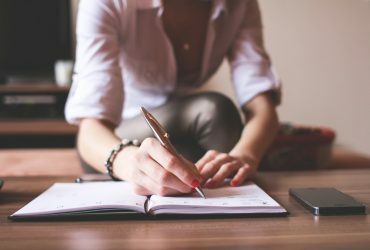 Building a strong foundation for your business will create many opportunities for you, as well as provide you the confidence to step into your community as a professional. 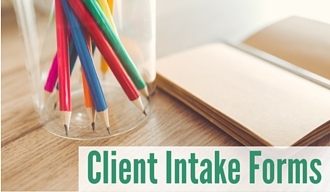 In Part 2, we'll look at researching federal and state requirements for starting a business. Please share your favorite networking groups to help others connect. 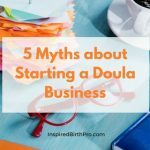 My biggest challenge as a doula and CBE is finding reliable on call childcare for births. Do people generally pay a retainer to their childcare providers to keep them on call? 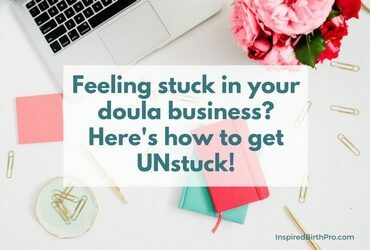 Feeling stuck in your doula business? Here's how to get UNstuck!